The Cuisinart CPM-700 is a popcorn maker which has special vents in the popping bowl to let moisture escape and to get crunchy homemade popcorn upto 16 cups. The popcorn maker features to select the desired amount of oil and salt to make popcorn just the way they like it. It has simple flip of a switch and non-slip feet with cord storage. 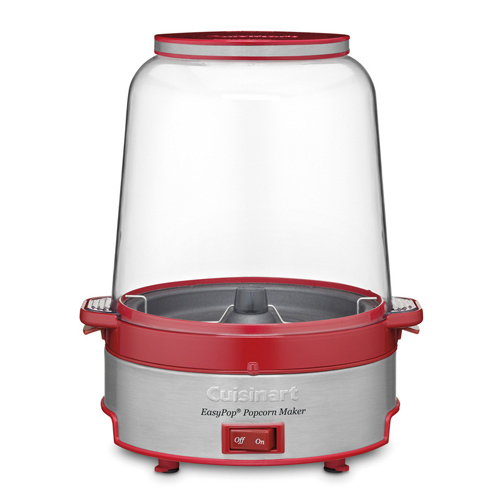 The 16-Cup Popcorn Maker Red has many exciting features for users of all types. You can extend the lifetime of your 16-Cup Popcorn Maker Red with the purchase of a FactoryOutletStore Factory Protection Plan. See the 16-Cup Popcorn Maker Red gallery images above for more product views. 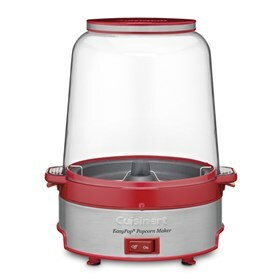 The 16-Cup Popcorn Maker Red is sold as a Brand New Unopened Item.